As a Fitness Together team, we have trained over 15,000 personal training sessions. We work together to help our clients achieve their goals. Jacob holds a Bachelor’s degree in Sports and Fitness Management, and Business Administration from Crown College. In addition, he is certified as a Fitness Trainer through the I.S.S.A. Jacob has worked as a personal trainer for over 13 years, and has trained more than 20,000 training sessions. Jacob and his staff opened Fitness Together in June 2007. Over the past 11+ years, the Fitness Together team has met, and many times exceeded their client’s goals. Our trainers not only help with muscle tone, weight loss and body fat reduction. They also help many conditions such as Plantar Fasciitis, Bulging Discs, Rotator Cuff injuries, Knee Replacements, Hip Replacements, Tennis Elbow and clients suffering with Dementia. Regardless of whether you are male or female, young or old, big or small, Fitness Together has the experience, and knowledge to guarantee results! Drew earned a Bachelor’s degree in Kinesiology from the University of Utah. He is a Certified Personal Trainer through American Council on Exercise (ACE) and has 5 years experience in coaching. Drew developed a passion for fitness through playing and coaching sports. He enjoys the great outdoors, spending time with his family, his dog and friends. He believes there is a true connection between health and happiness. Drew loves to work with clients from different backgrounds, with different levels of fitness experience and goals and he feels that anyone can reach their goals if they put in the work and believe in themselves. Desire has a Bachelor’s degree in Exercise Science and Nutrition from the University of Utah. In addition, she is certified as an Exercise Physiologist through A.C.S.M. In her free time she enjoys being outdoors, doing anything from snowmobiling, water skiing, or hiking with her dog. She has a passion for creating a healthy lifestyle and loves to help encourage, educate, and guide individuals to help reach their goals of a healthier lifestyle. Alison has a Bachelor's degree in Physical Education and Recreation from Utah Valley University. She loves everything and anything outdoors, especially adventurous activities, such has rock climbing, kayaking, snowboarding, and horse back riding. When she is not working out or helping others reach their fitness goals, she stays busy taking care of her two kids. 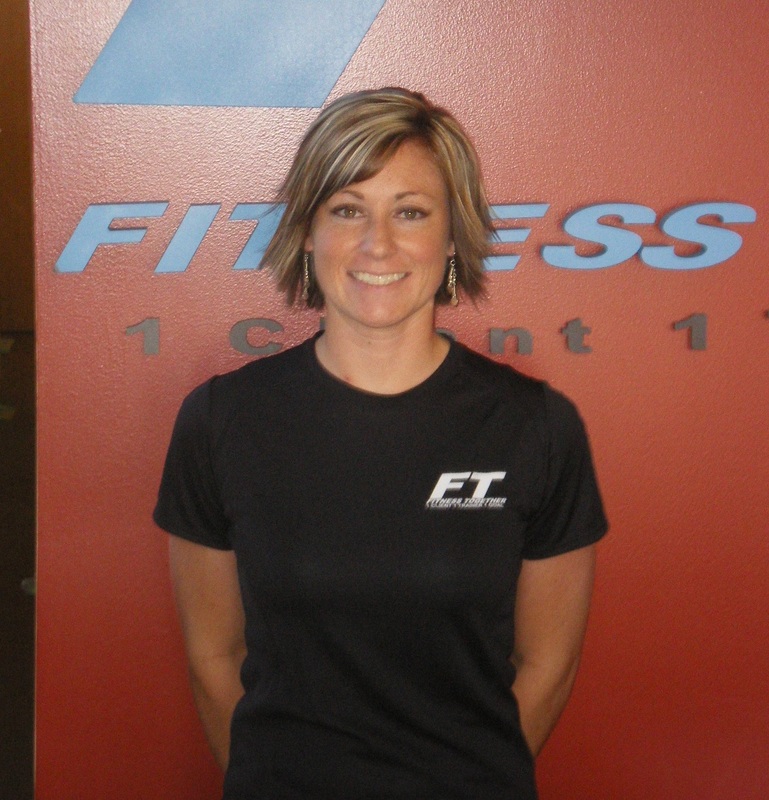 Alison has been with Fitness Together since February 2011. She enjoys challenging her clients with new and creative exercises.